Doing all the research and assembling your family tree is both a pleasure and a task. You’ll run into countless problems and be diverted into many alleys and cul-de-sacs on your journey. A family tree largely remains a work in progress. It’s never truly complete. At some point, though, you’ll want to share the results you’ve achieved. With your immediate family that’s quite simple, although they might already have heard too much about it. Beyond that it can become a little more difficult. Make up a good copy of the family tree and send it to family members. Encourage them to share it with other relatives. There’s a dual purpose to this. Not only do they have the chance to see what you’ve done, but looking might even trigger some memory about an ancestor. That could end up adding to the family tree. The drawback to sending out the family tree this way is that people will only receive the bare details. 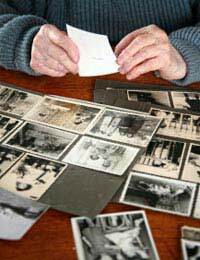 You won’t be able to include any photographs or documents, which are the flesh on the bones on a family tree. Most libraries have local history and family history sections these days. Filing a copy of the family tree there, along with some of the documentation you’ve accumulated, will add to their information and make it available to others looking into local and family history. This will work if your ancestors have stayed around the same place for many years. If the family has generally been based elsewhere, direct the family tree to the library in that area, where others might find it useful. Be sure to always include some contact information for yourself. You’d be surprised; people do look at these things and some will have something to offer that can add to the family history. The very best forum for your family tree is the Internet. There you can display not only the tree itself but as much of the documentation and pictures as you wish. If you have a family website that’s an ideal place, since you can put up everything. If you don’t then there are a number of family history sites that will let you put up the family tree, although there won’t be space for much more than the basics. If you don’t have a family site it can be worthwhile creating one to show off and share your handiwork. It doesn’t cost much and there’s ample software available these days to put together a site without any knowledge of computers or programming. The beauty of this is that it can instantly be found by so many people, including those with the same or similar surnames, who might be related in some way. It’s perfectly possible that some of these people will have been assembling their own family trees that might intersect at some point with your own and you can help each other with research. Having done all the work, of course you want to share it. That’s natural, and there’s certainly no point keeping it all to yourself. Other people have stories to tell that can relate to your family. By sharing what you have you make it possible for others to communicate with you, too.